Settling Steps on your deck/porch? Hey folks! Were standing in our brand-new 46 thousand square foot, state-of-the-art facility and, behind me represents 30,000 square feet of warehouse space alone. And why is that important to you and to us? Well, first of all we can now inventory all of our products and systems right here at our disposal. Which includes, as many as, 30 different patented products and systems, all on the cutting edge of technology, all here to serve you when you need them. Now, you know a lot of companies have certain products and systems for a specific problem. And you’ve probably heard the old expression when all you have is a hammer everything becomes a nail. Well, we have various products and systems for the same type problem based on the construction of the home. So, we may have a foundation repair problem that requires a helical pier versus a push pier, a bending wall failure that may use a wall anchor versus a power brace, or carbon fiber technology. So, we’re not a one-size-fits-all. And we want our customers at the end of the day to know that when we do a job for them that the job is done right the first time, that they have a warranty that they can count on, and in our case, in most cases it’s the life of the structure transferable warranty. And, you know, that’s only as good as the company and the paper that it’s provided on. So, when it comes to AquaGuard you know you’re getting the job done right and, a company that’s going to be there for the life of the structure. When you need us, we’re there! Today folks we’re dealing with a very common problem we run into all the time. It’s called a settling front stoop. And if you look behind me, we’ve got a little stoop here that goes into the front door. It just has two steps. But over the years, based on erosion and poorly compacted soil, to begin with, it has actually settled as much as three inches. So, this homeowner, when he walks out his front door actually feels like he’s walking downhill. So, what’s caused this problem is the soil all in front of this foundation is nothing more than fill dirt. This is a basement foundation and, when they originally dug it out, they dug down deep. But the dirt they pushed back up against the wall is just filled dirt. And over the years it has actually settled. Now, our repair method for this is a very simple one that we do. We put in some steel helical piers and our PolyLevel process. We have two of our light-duty piers on either edge of the stoop. And that lifts it back up to the position we want it, backfill, and then we are going to fill the void underneath the stoop and a small section of the sidewalk. And fill that void with our PolyLevel, which will raise that slab a little bit and put this back into a really solid position. So if you walk out your front door and you feel like you’re walking downhill on your stoop, give us a call. Have us come out and give you a free evaluation. We’ll take a look at things and, let you know what your options are for putting you back on solid ground. Today folks were going to talk about roof water and the impact it has on our foundations. You know, most people don’t realize that the number one reason why basements and crawlspaces the leak and foundations crack, settle, and bow are due to improperly channeled roof water. Now this home here is a great example of that. We’ve got this roofline that has no gutter on it. I’m not sure it ever had a gutter on it. And the impact of that over the years is we’ve had hundreds of thousands of gallons of water all located right in this area with no place for it to go. So as you can see a result of all that water over the years has literally created this massive sinkhole. And the type of soils we have here in Georgia are expansive soils and, what’s important about that is that means that they expand when they get wet and they contract when they dry. And that constant expansion and contraction ultimately allows the soil underneath this footing, which is what’s supporting this section of the house, to shrinking contract and pull away from the bottom of the footing which is what that footing is counting on to support this house. That’s the reason why over a number of years this foundation is actually settled and, we’re here today doing a repair job to stabilize this foundation from any further settlement. All a result of improperly channeled roof water. Okay, folks. Here we are just another day at the office. Well, not really. If you look behind me we’ve got a very very interesting job we’re doing here today. We’ve got a beautiful home that is actually built on a slab foundation. And the dirt underneath it is being supported by this retaining wall. And what has happened over the years is that the soil has become compromised. So our job is to come in here and to stabilize this with our helical pier system. Now that’s gonna be a real challenge because we have to get these piers on the backside of this retaining wall, but underneath the slab of the home. So one of the real challenges here that we’re running into and ready to rise to the challenge is installing conventional repair methods with very unconventional construction. So, what our plan here is to install our helical piers one at a time, starting on that end of the house, stabilizing that section of this slab. Then move over and dig another hole. We’ll end up having to remove some of this retaining wall, so we can actually get behind it because it gets much tighter to the house. So, once we remove a section of the wall, we will then install a second helical pier, support that slab and then move over and continue right down this corner here. So we will install a total of five helical piers. So as you can see this is not a job for the faint of heart or just anybody who claims they do foundation repair. When it comes to your home and what amounts to your biggest investment that you may make in your life, you want to have a company that you know is going to do it right, the first time, with a warranty you can count on. And that’s the advantage you get when you’re doing business with AquaGuard Foundation Solutions. Hey folks, we’re here in Sandy Springs in an older home that has what we call a dug-out crawlspace. They dig a small area out that we’re in right now that we can barely stand up in, and this is designed to put in the HVAC for the heating and cooling of the house. We’ve got a leaker here. It’s leaking all around the crawlspace as well as this area here, which would be considered the basement area. And you can see obvious signs of leakage. We’ve got damp spots in the block wall behind me. And we have some white powdery stuff on the wall here as well called efflorescence; which is the calcium deposits left from the water once it evaporates. Laymans terms, we’ve got water in the wall. And when there’s water in this wall, we’re gonna have water in this basement and crawlspace. So once we put in our full drainage system, we’re going to step it down from the crawlspace area down to this lower level here. And there’s an area that we pay very close attention to which is very important. When the footing steps down from about 4 feet up down to this basement level, there is dirt underneath that footing that steps from up here down here. And when the drainage we installed comes through, it will have a tendency to accelerate the amount of erosion that’s going on underneath that footing. As a result, what we do, standard procedure, is put in what we call bulkhead stabilizers; which is a block wall that runs in an “L” form and basically we fill it full of gravel. And that eliminates and minimizes the amount of erosion that will take place from that footing. And that’s important because if that’s not done, and that’s a step that’s skipped in many cases with a lot of other companies, you will ultimately undermine that footing; which will drop that side of the house. So this is a step we don’t want to skip. So when we’re wrapped up, we’ll have a complete full-perimeter drainage system in the crawlspace area stepping down to this basement area. It’ll go outside via one of our patented super sump pump systems. And this crawlspace and basement will be dried out and ready for use. Good morning folks we’re here on this beautiful Monday morning here in Midtown Atlanta, and we’ve got a gorgeous historic home built in the 1920s. And there are some things on this home we want you to look out for that kind of typify what it is we look for when there could be potential foundation problems. Now if you look over here, you’ll notice on this brick veneer that you’ll see that there’s some horizontal cracking where it’s actually separated right at the motor joint. And there’s some more of it up there as well. And that is the symptom that this foundation is actually settling vertically, and of course, this brick being is rigid as it has no choice but to crack with it. So if you see cracks like this in your brick veneer, give us a call. These are symptoms you really want to be proactive with. Better safe than sorry. Have us come out to a completely free inspection of your foundation, and if there’s an issue we’ll let you know and if it’s something you need to just monitor we’re going to let you know that as well. Folks, we’re here today dealing with a very common problem. We have a settling stoop and a settling sidewalk. Now, these are very common problems that most people run into every day. And the big reason for the problem is the fact that this home, in particular, is built on a foundation. It’s built on a basement. And when they over-excavated this lot to put this foundation in, they put all that filler back up against the foundation. They didn’t compact it very well. So this concrete is built on really incompetent soil, and with time, it settles with expansion and contraction of the soil based on moisture and drought. 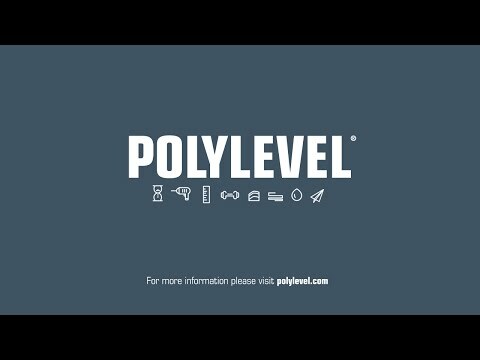 So what we do to repair this problem is our patented PolyLevel System. We drill about a dime-size hole into the concrete, and we inject a polyurethane foam, which fills that void directly under the slab. And then it lifts and levels that concrete. Ideally, back into its original position, eliminating that very costly full replacement and repair. So if you think you’re dealing with some settling concrete or have some questions, give us a call. We’re here to help. Aqua…Guard! Ok, folks, we’re here in Old Town Marietta. And with Old Town Marietta comes some very old homes like we’re in here. And with that comes a lot of unusual and unconventional construction. And that’s exactly when you need a company like AquaGuard in here, because we’ve got all kinds of systems and products that may do the same thing, but are designed for the different type of construction we can run into. And that’s important because there are a lot of companies out there that have their one or two products they go to. And when they run into construction like this, they’re gonna have to try to figure out how they can manipulate what they do. And what it boils down to is the old adage when all you have is a hammer, everything becomes a nail. Well, that’s just the case when you’re dealing with AquaGuard. We’ve got multiple products and systems in place on this job alone. We’ve got a perimeter system in place that’s leading over to our Triple-Safe sump pump system. And to my left here, we’re replacing these old two to two and half inch steel columns that are not adjustable to our Smart Jack system. This is a three-inch thick-walled pipe that based on the point load that can handle, pounds on this piece right here alone. And we’re going to be putting three in here. So we’re going to be replacing these with this on brand new footings, putting a drainage system in here, getting our wall system on the walls. So the combination of all these products and systems are going to give this customer the peace of mind that they have a dry, healthy, stable foundation right here in their basement. Aqua – Guard!! For homes with a crawl space, the importance of knowing the signs of improper water drainage can’t be overstated. Your family’s health and your investment could be at risk. 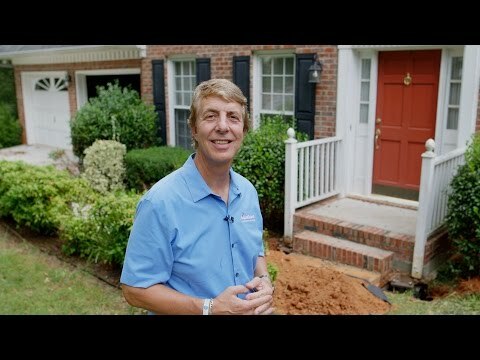 Watch and learn, as AquaGuard CEO Tom DiGregorio shows you how to recognize crawl space issues from improper drainage. Know when you should call us for crawl space refurbishing and protect your loved ones and your investment. Our full perimeter system surrounds your entire crawl space. We lay down a tough, durable covering that encapsulates your crawl space. And we install a powerful sump pump system to drain water away from your home. Plus, we seal all the leaks into the crawl space. The Clean Space crawl space encapsulation also includes a commercial-grade dehumidification and air filtration system that ensures mold-free air flows through all areas of your home. Today, folks, I want to talk about some featured products that go into every one of our basement and crawlspace drainage systems. I want to talk about, well, first of all, this old system here. This is a -inch perforated pipe and this is designed to be put in the ground and then covered with gravel. But the problem with this, and you can see this… You see how this is all silted up? And what happens is, with time, the silty water not only gets into this pipe, but it allows some of the silt to get to it too, and then it clogs this pipe and renders it useless. What we use is a product called Easy Flow. And it’s similar in that it still has this perforated pipe, as you can see. It still has the slits or the perforations in it, but it is encased in a engineered aggregate, which is basically made of high-density styrofoam. And it is wrapped in this sock, if you will, and this is a geotextile filter fabric which is designed to not only keep all of this in place, but when you bury this in dirt it allows the water to get in here but this is kind of like a filter fabric which will allow the water through, but not so much the silt, which creates this clogging situation. So this is used standard operating procedure on all of our crawl space systems. Once this is installed in a pre-slope trench, then we will cover it again with gravel, and we will have the ultimate one-two punch when it comes to drainage. When it comes to basements, we have our flagship WaterGuard system. There’s more footage of this system in the ground than any other system on the planet. This is installed just underneath the basement slab, on the footing, and out of the dirt. And then, of course, once we take the concrete out, install our system, put in some drainage stone in front of it, and re-pour the concrete, it fits flush up against the basement wall. So when we’re done, all you see is about a clean, six to eight inch strip of concrete. And this tiny little flange will be sticking up from the top of the basement floor. And then we’ll have a wall system that will go right on up the wall and encapsulate the wall to take any moisture that comes through the wall or any water that comes through the wall, direct it behind our vapor barrier, into our system. Now all of these drainage systems ultimately have to go someplace. And that brings us to our patented Triple-Safe sump pump system. There’s nothing like it on the market. And it’s called Triple-Safe because we have three separate pumps in here. We have two primary pumps at half horsepower and a third horsepower that’ll go in here. And then there’s a third pump which is a battery backup pump in the event you lose power. Now listen, we’ve been in this town close to years installing lots of systems and we’ve had some heavy rains where the water came in faster than a single pump could handle. End result Flooded basement. So, this, with two pumps will get that water out faster than it could ever dream about coming in and in the event you lose power, which happens a good bit, folks, let’s face it. This is the entire heart of the system. If this doesn’t have power, then you’re going to end up with a flooded basement or crawlspace. While we’re on the subject of this pump, I want to talk about our liner and our liner lid. This is an airtight lid. It’s designed to fit flush with the basement floor or the crawlspace floor. And you’ll notice that on top has this floor drain. So if you should ever have a domestic water leak or broken water pipe, this drain allows water to get in this drain here into our system and pump it out before you have a flooded basement. And if you’ll notice, the bottom of this has a little ball in here. And the way this works is when water gets in here, the ball floats and allows the water to enter into the sump pump liner. And then when the water has drained, it will lock itself back on top of the drain and keep this whole area airtight. So these are just a few of the great products and systems that are installed every day in our crawlspace and waterproofing systems. All on the cutting edge of technology, giving you that top performance you need to keep your basement and crawlspace dry… permanently! Hey folks, we’re here at this beautiful stucco home in South Atlanta and I want to talk to you about something that is very important to the health of your foundation and happens to do with your roof water and properly channeled roof water. It’s the number one reason why basements and crawl spaces leak, foundation settle, crack and bow, and we’ve got a lot of other situations going on here as well. If you look behind me, we’ve got three different levels of rooflines. Now each one of these rooflines have their own separate gutter that drops it down to the next roofline, and drops it down to the next roofline. And all of that water, in a heavy rainstorm can be thousands of gallons of water, is all supposed to come out of this one down spot here on my right. The reality of it is it’s not really working that way. Number one, we’re in a heavily wooded area. This customer went ahead and put gutter caps on their gutters, which is a really good system, typically, but in this case, it may be restricting the amount of water that’s coming off of this steep pitched roof and into these gutters. And if any water, which we think is happening here, is cascading over the top of that gutter, it’s just completely loading this area up with water in a heavy rainstorm. What’s the downside of that? Well, there’s multiple things going on here. First of all, we know that this water not only is not getting into the gutter, but it’s running down the side of the stucco. And that stucco is absorbing this into the home and on the other side of this stucco, especially in the crawlspace, there’s particle board. And that particle board, over the years, is literally completely rotted away. Secondly, this land right behind me, as you notice, has no grass here and there’s never going to be grass here under these circumstances. Because there’s so much water that is cascading over the gutters and just landing in this area here that this area is never going to really grow grass. Which isn’t the end of the world. But because this stays so soft over the course of the year and then dries up when we have these drought conditions, we get this expansion and contraction reaction, and ultimately what’s now happening is this stoop to my left is actually settling. And the only thing supporting those steps is the soil that were standing on. These gutters are actually causing a lot of problems. Rotten wood on the other side of the stucco; we’ve got settlement going on here under these steps. And the crawl space on the other side here has had a lot of ground water saturation and a lot of ground water seepage coming in from the outside. So it required, obviously, a drainage system as well. This is important for you to understand. These are situations and circumstances that you can do on your own. Look around your house, look at your gutters, look at your downspouts. Make sure they’re properly piped off away from your home and prevent what could be thousands of dollars of damage and repair to your home. If you have any more questions or concerns about your gutters or downspouts, feel free to give us a call. We’re here to help. Cracked or Bowing Walls? We can help. What Causes Mold and Moisture Problems in Crawl Spaces? Why is my basement starting to leak now? https://www.aquaguard.net/ | 1-888-479-1203 Meet Tom DiGregorio, owner of Aquaguard Foundation Solutions, and Atlanta’s most reputable expert in “All Things Foundations!”™. AquaGuard Foundation Solutions has been providing foundation repair, basement waterproofing, and crawl space encapsulation services in North Georgia, serving the entire Atlanta Metro area, Marietta, Decatur, Alpharetta and Norcross. In this video, Tom and Joe address one of the most frequently asked questions concerning basement waterproofing. Why do previously dry basements suddenly start to leak? Joe explains that in order for a basement to be built, a hole must be dug in the ground and after the basement walls are built or poured, the gap around the exterior is backfilled. That backfill soil is loose and will never be as compact as the undisturbed portion of the terrain around it. As a result, it absorbs more water, which tends to pool next to the foundation walls, creating a high false water table. In industry, this is called the “clay bowl effect”. In order to address that problem, builders install what is commonly known as French Drain, or Weeping Tile: lines of perforated PVC or corrugated pipes next to the footing. They are meant to collect ground water and divert it away from the foundation, usually using a sump pump, thus keeping the water from building up and entering your basement. When mixed with the ground water, silt, mud and debris also get into the pipes, and overtime, the drain tiles clog, rendering the system useless. That is the main reason why most basements that have been historically dry will suddenly start to leak. To learn more about wet basement problems and solutions, watch our other videos, visit our website, or contact us for a free, in-home inspection and quote.